In June 2016 Privium Fund Management and FMO IM launched a private debt fund. The fund participates in recently fully disbursed loans made by FMO in the sectors financial institutions, renewable energy, agribusiness and telecom infrastructure. The fund is open-ended and aims for a stable and sustainable return as well as measurable impact. The experience of FMO, combined with a stringent credit selection, solid risk management and a portfolio well spread over sectors and countries, leads to a reasonable and stable return expectation for the FMO Privium Impact Fund. The risk-return profle is in line with many other investment opportunities. The difference is the impact. Privium Fund Management B.V. (‘Privium’) Privium is an Alternative Investment Fund Manager (‘AIFM’) and in that capacity avails of a license pursuant to section 2:65 of the Act on Financial Supervision of the Netherlands (Wft) as that section reads following the incorporation of the AIFM Directive in the Wft. (www.afm.nl) Privium Fund Management is a global business partner to different asset management initiatives. FMO Investment Management BV (‘FMO IM’) is a MiFID licensed Dutch investment firm and 100% subsidiary of the Dutch development bank FMO NV. FMO IM advises on the loan portfolio at the request of the Fund Manager. All loans offered to the fund have succesfully completed the investment process of FMO and have thus been added to FMOs own loan portfolio. Circle Partners is a leading independent fund administrator, delivering best practice fund administration services to our clients. The services include fund administration, fund set up and structuring as well as specialized and tailor-made reporting. Circle Partners has branches in 10 countries worldwide. KAS Trust & Depositary Services is a 100% subsidiary of KAS Bank and a leading European provider of custodian and fund administration services to institutional investors and financial institutions. We view the market from the perspective of our clients – tailor-made services and complete transparency are paramount in helping them meet their business objectives. The Fund reports on a regular basis. Every quarter we select one investment to tell investors more about the impact made by the Fund. These 'case studies' talk about the country in which the investment took place, explain the role of the company and researches e.g. the role of the sector and how it impacts the local economy and the Sustainable Development Goals. Most cases studies are currently only available in Dutch. First distriubution will take place in December 2018 as this share class is new to the Fund. Privium Fund Management B.V. (‘Privium’) has compiled this publication in conjunction with FMO Investment Management B.V. (‘FMO IM’). Privium is an Alternative Investment Fund Manager (‘AIFM’) and in that capacity avails of a license pursuant to section 2:65 of the Act on Financial Supervision of the Netherlands (Wft) as that section reads following the incorporation of the AIFM Directive in the Wft. 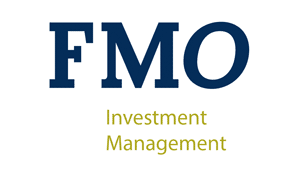 FMO Investment Management BV (‘FMO IM’) is an investment firm authorized and regulated by the Netherlands Authority for the Financial Markets (AFM). FMO IM holds a license from the AFM. The license allows FMO IM to operate as an investment firm (“beleggingsonderneming”) that is permitted to render the following services: 1) portfolio management; 2) receipt and transmission of orders; and 3) investment advice. Although the information contained in this publication is composed with great care and although we always strive to ensure the accuracy, completeness and correctness of the information, imperfections due to human errors may occur, as a result of which presented data and calculations may vary. Therefore, no rights may be derived from the provided data and calculations. All information is provided "as is" and is subject to change without prior notice. Privium and FMO IM do not warrant the adequacy, accuracy or completeness of any information and expressly disclaims any liability for errors or omissions therein. The recipients of this publication are responsible for evaluating the accuracy, completeness or usefulness of this information. The information contained in this publication does not constitute any recommendation, investment proposal, offer to provide a service, nor a solicitation to buy or sell any security or other investment product. The FMO Privium Impact Fund has not yet been registered with the Netherlands Authority Financial Markets. The prospectus of the FMO Privium Impact Fund is available on the website of Privium Fund Management B.V., www.priviumfund.com.